It’s true. The scent of crispy bacon frying in the morning is enough to get (almost) anyone out of bed. 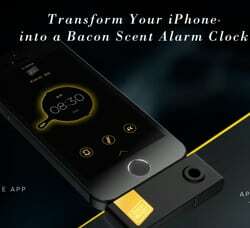 Oscar Mayer knows it and has come up with a zany “Bacon Scent Alarm Clock” app that not only wakes you it sends a puff of freshly cooked bacon scent into the air. If you’re interested, you can apply for a chance to get the device by playing the instant-win game. Players fill out the “Official Bacon Beta Tester Entry Form” that, by the way, explains in one of three questions that Oscar Mayer bacon is brined, then cured for 12 hours. 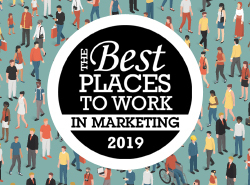 A YouTube video takes a fun approach to the promotion. Shares of the game, hosted by HelloWorld, through email or twitter equate to one additional game play for that day. Some 4,700 random winning times will be generated over the course of the game, which began this week and ends April 4. The prizes, of course, are a bacon scent cell phone attachment valued at $40. Smells good to me!